Separate bedrooms, ample living space - perfect for traveling with a crew. The lobby area's so cozy even the coffee shop has a fireplace. The chilly walk back will be even quicker, but it's so worth it. Taking a day off from the trails? Hit the fitness center. You'll find top-notch dining options right onsite. It's an easy 10 minute walk to Red Pine Gondola. Relax with a massage or get a manicure at the onsite spa. Recover from your day and enjoy the gorgeous views while soaking in the hot tub. Get your snacks ready. Round Valley Trails are just 11 minutes drive from the resort. Work on perfecting your swing at Park City Golf Course, 6 minutes drive away. Just below Canyons Village, the Silverado Lodge is a luxe mountain retreat intent on making your stay one you’ll be talking about for a very long time. Blissfully restful and effortlessly convenient, it’s perched near the base, just steps from the gloriously heated, impossible-to-miss Orange Bubble chairlift. Round up your skis and boards from the secure ski check area and head up-mountain. Stick together or split up by ability and regroup for lunch, where you’ll likely have a tree-skiing mishap or two to laugh about, even though you’re just a few hours into the day. (Score bonus points for catching it on your GoPro.) Finish out the day trying not to inflict any permanent damage, then make your way back to change for a group outing to the heated-year-round outdoor pool and hot tub. And if your original plan to cook dinner sounds ridiculously ambitious right about now – you have multiple onsite dining options, including The Farm (one of Utah’s Top 10!) specializing in fresh, seasonal, locally sourced fare. Or dive into the southwestern-style eats at Red Tail Grill – there’s an outdoor deck if the weather’s playing nice. Each spacious studio and one- and two-bedroom suite includes a gas fireplace in the living area, and enough beds to sleep up to X weary mountain-tamers. If your condo wish list includes vaulted ceilings and oversized decks, check the detailed amenity lists to see which suites check those boxes. Well-appointed kitchens invite you to cook breakfast for real – not your usual at-home yogurt or breakfast bar on the way out the door. That said, if you want to go really big, indulge at the Canyons famous Alpine Breakfast Buffet. Highlights include omelets, waffles, eggs Benedict and banana granola pancakes (and that’s just your warm-up round). 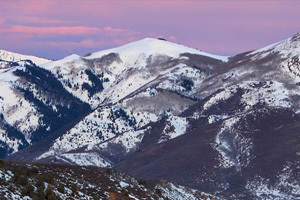 The first base area you reach from the Salt Lake City Airport, family-friendly Canyons Village is its own unique ski village just four miles from the historic Park City Main Street. The entire ski area trail tally adds up to a grand total of 426, which means if you’re planning to hit them all, you’ve got your work cut out for you – 9,326 acres of skiable terrain, to be exact. Top of your day on the slopes with a horse-drawn sleigh ride to dinner, or let the kids cruise around in mini-snowmobiles at Gorgoza Park. Summer is equally spectacular. Book a tee time at the Park City Municipal Golf Course, hit the mountain biking trails and visit the lively Park Silly market – held downtown every Sunday all season long. Try the Historic Park City Bike Tour, focused on the area’s fascinating mining history. Or visit Utah Olympic Park, just a mile away.